One of my absolute favorite places to eat in the Walt Disney Resort is located in Downtown Disney (soon to be called Disney Springs), right next to the Days of Christmas Shoppe. 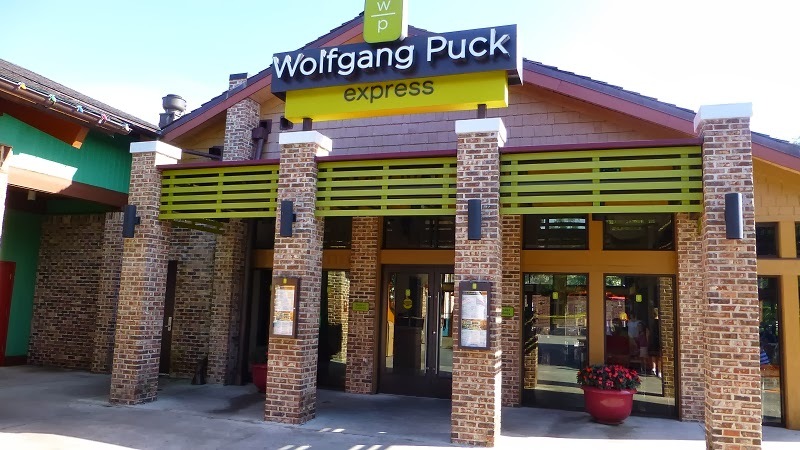 It is an extension of the ever popular Wolfgang Puck Restaurant located on the West side of Downtown Disney and is essentially an “express” version of the popular restaurant chain. I am talking about Wolfgang Puck Express. This counter service dining location offers both inside and outdoor seating. 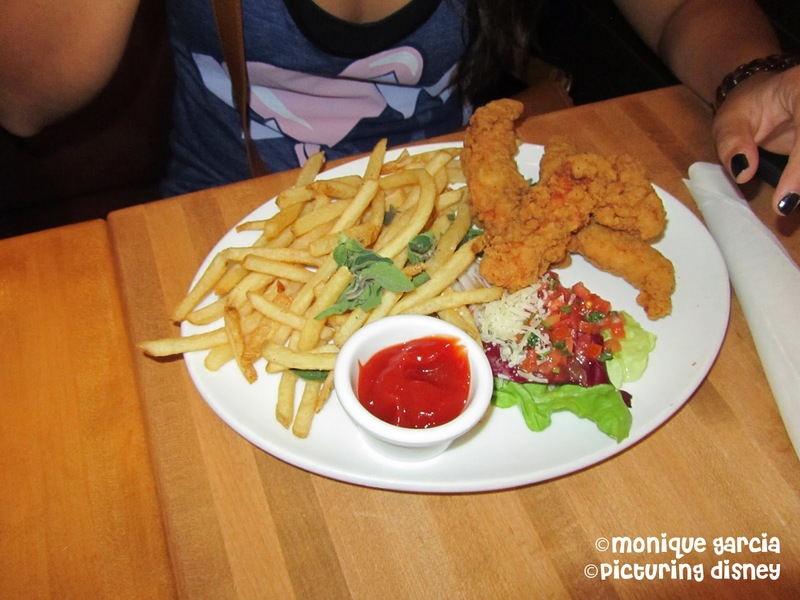 Their menu consists of soups, salads, pizzas, pastas, sandwiches, & some really yummy desserts. They offer a great kids menu as well as a breakfast menu. Once the food is ordered at the main counter, guests can grab a drink and take their seat. Within a few minutes, their food is brought to them by a server and get anything else that may be needed for this wonderful meal. 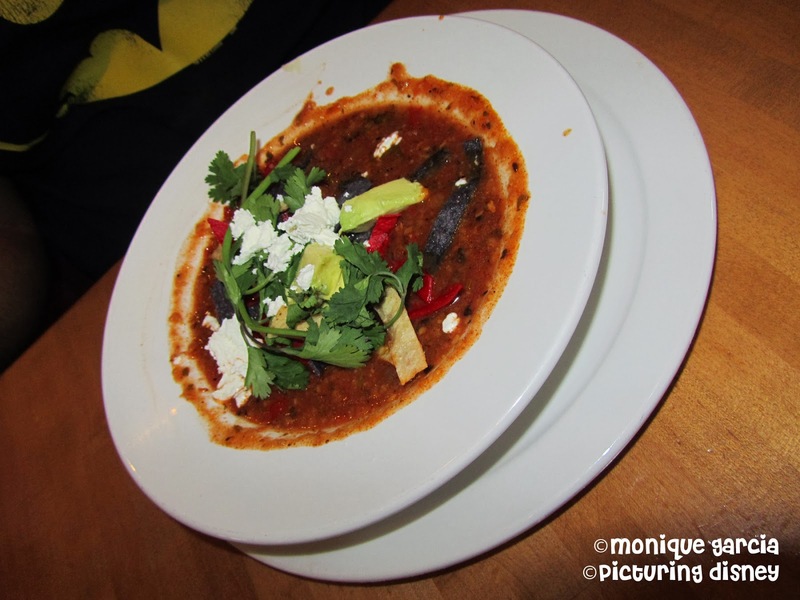 Tortilla Soup made with Avacado, Tortillas, Goat Cheese, and Cilantro. My favorite dish is the Cavatappi Chicken Alfredo. Gus really loves the Bacon Wrapped Meatloaf. Cavtappi Chick Alfredo which has Bacon, Baby Peas, and Parmesan. 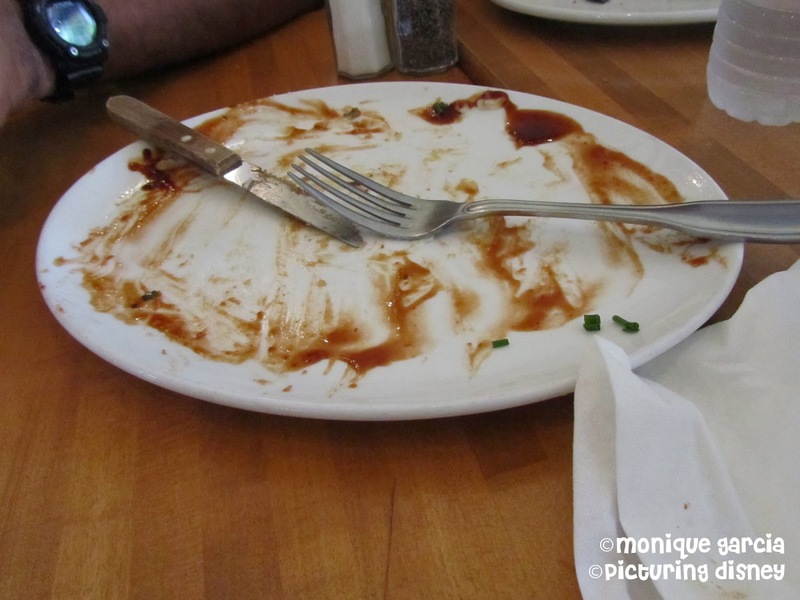 This casual dining location is guaranteed to have guests leave content and satisfied with both the quality and portion of their meal. 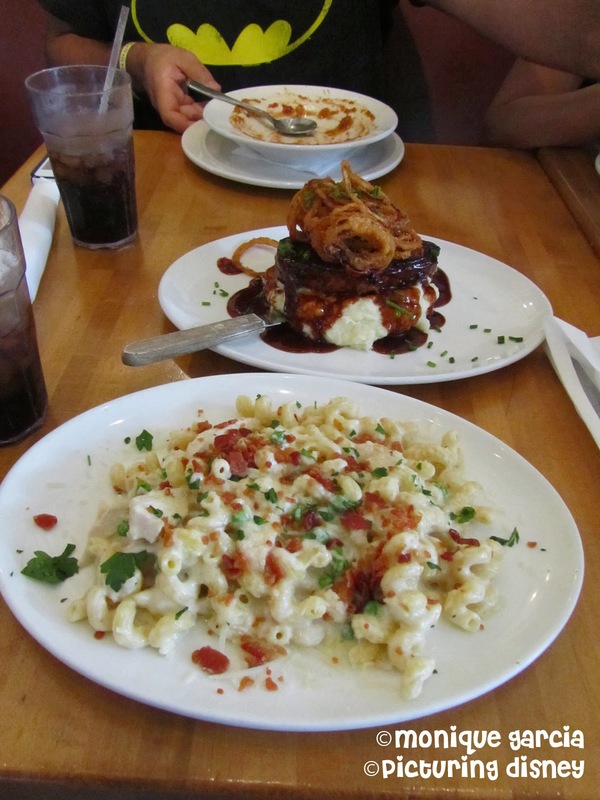 Our tummies are always happy after a visit to Wolfgang Puck Express.